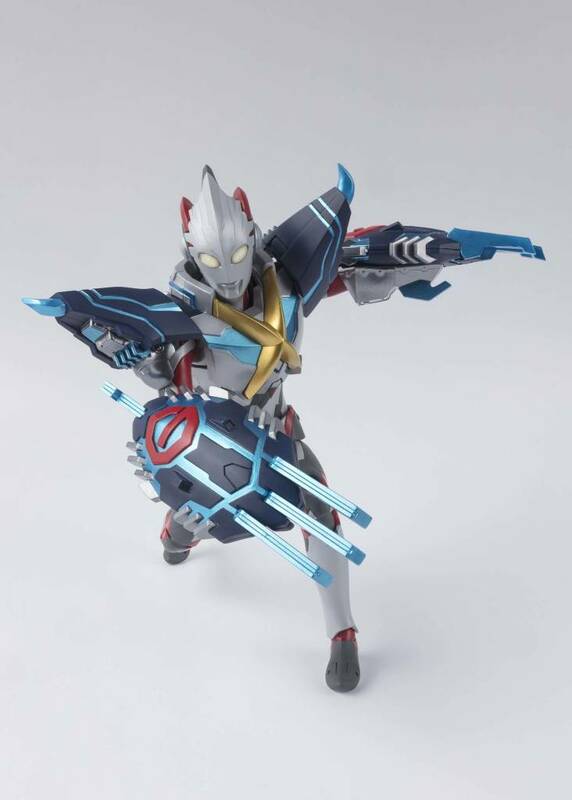 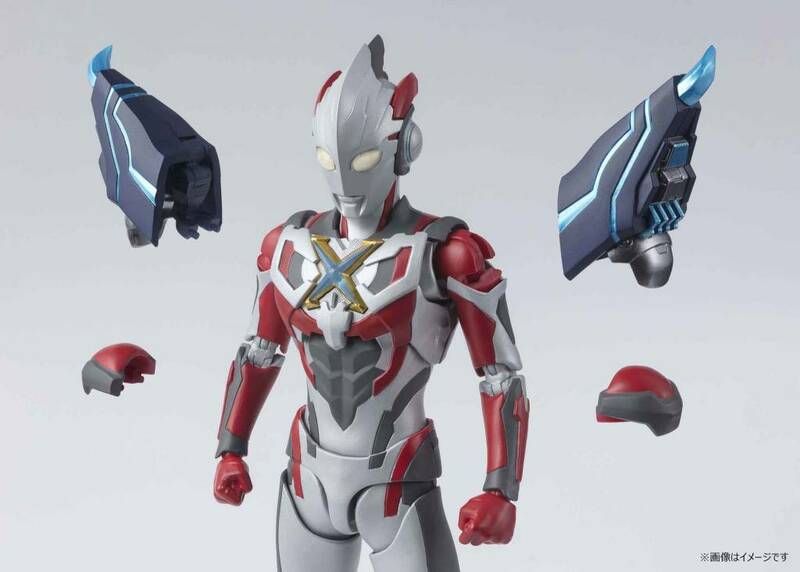 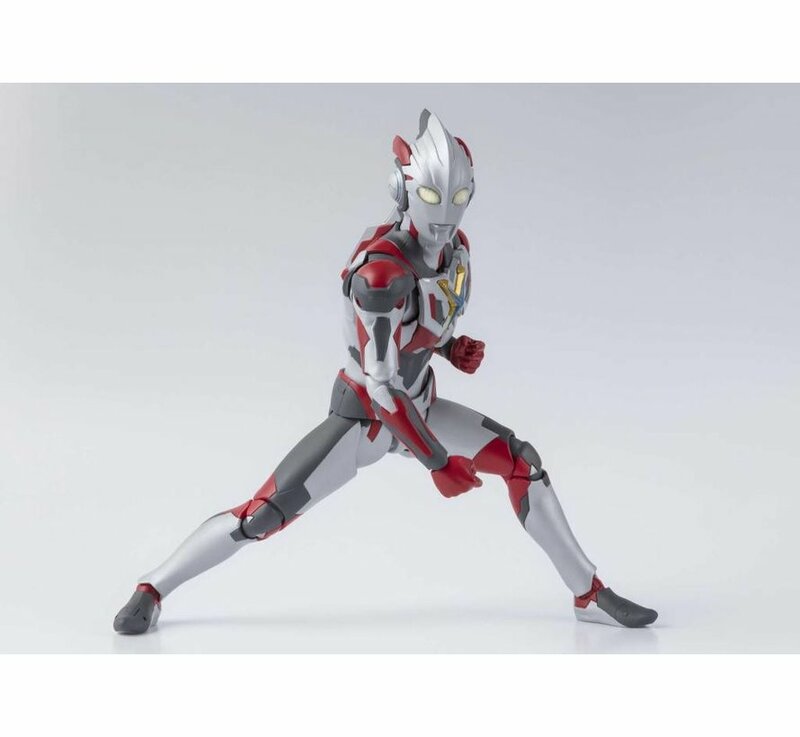 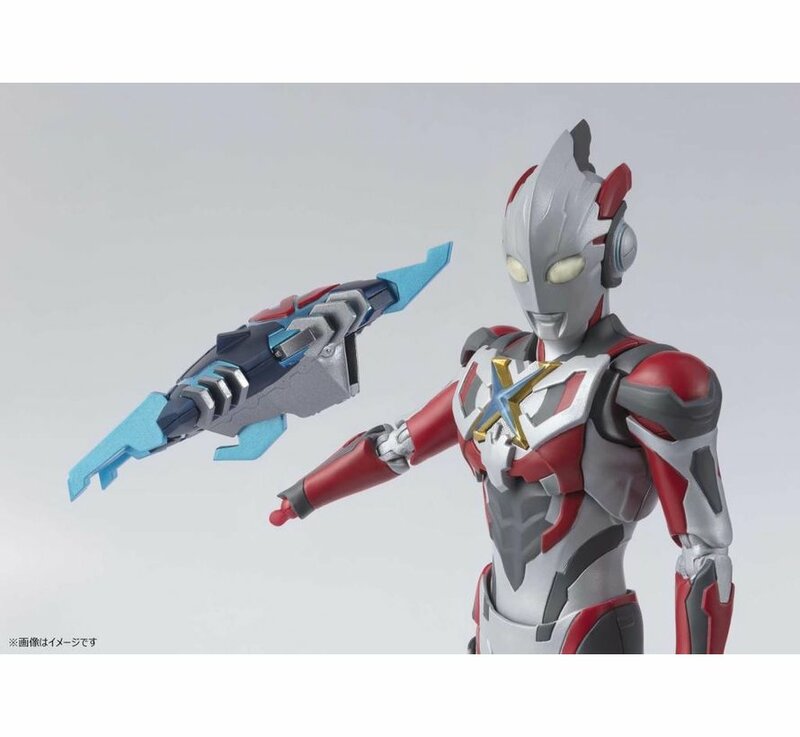 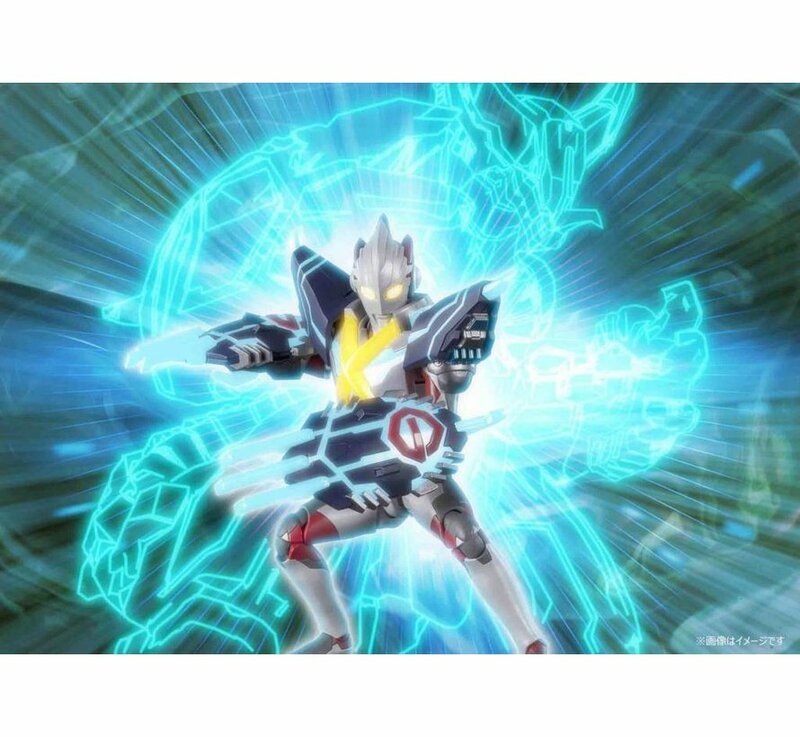 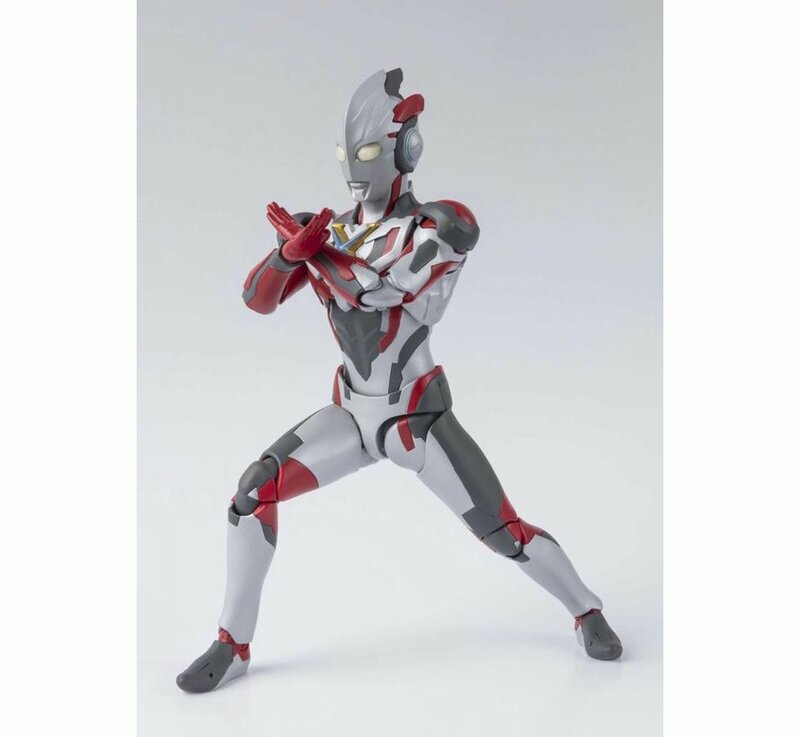 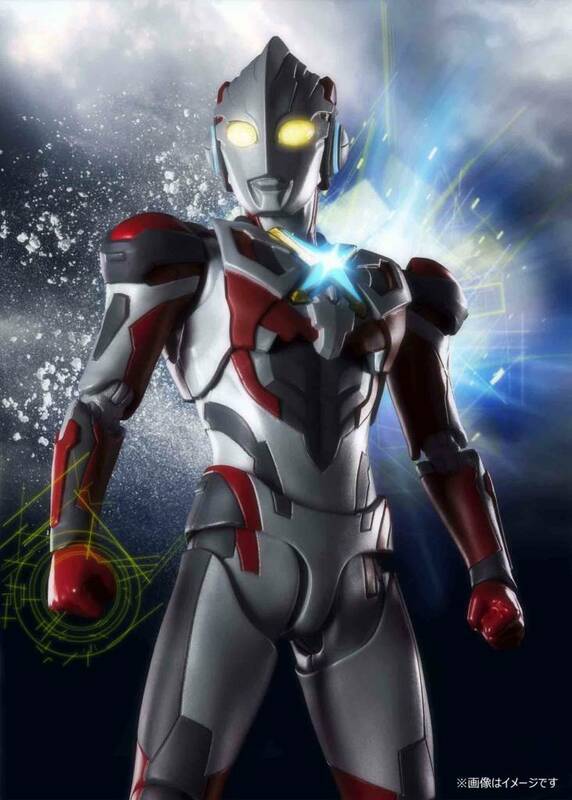 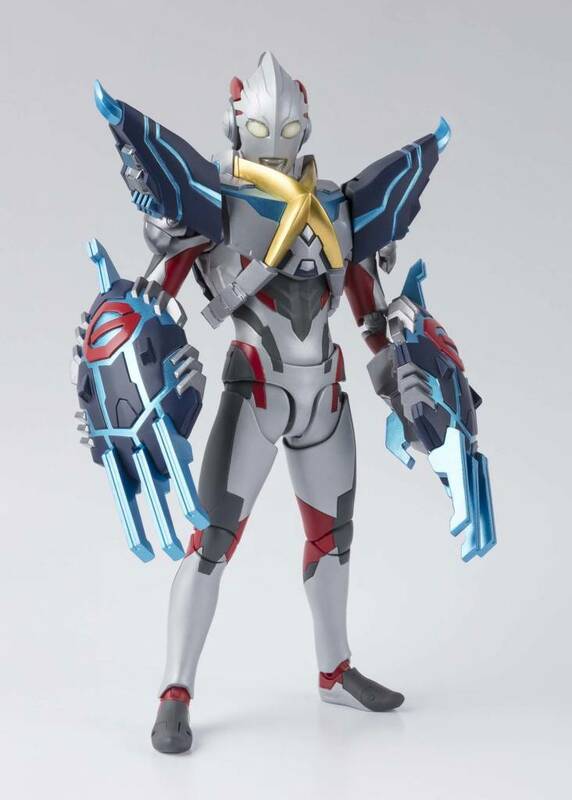 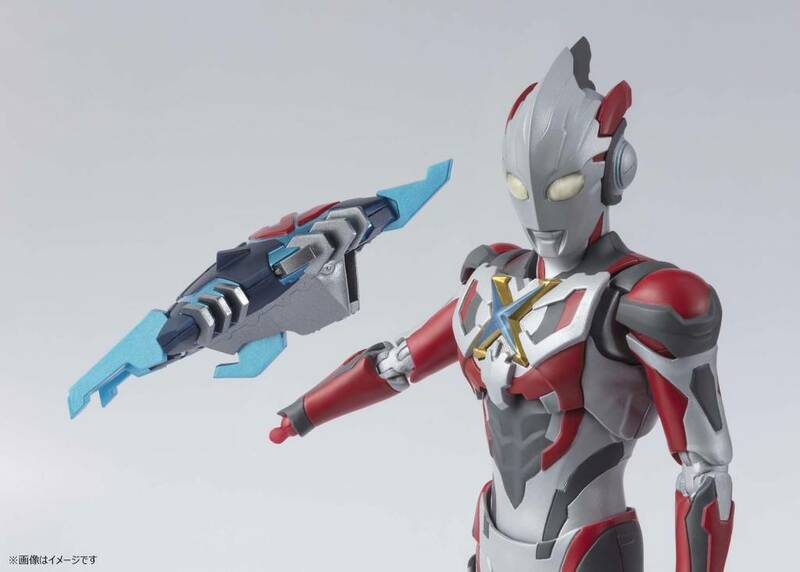 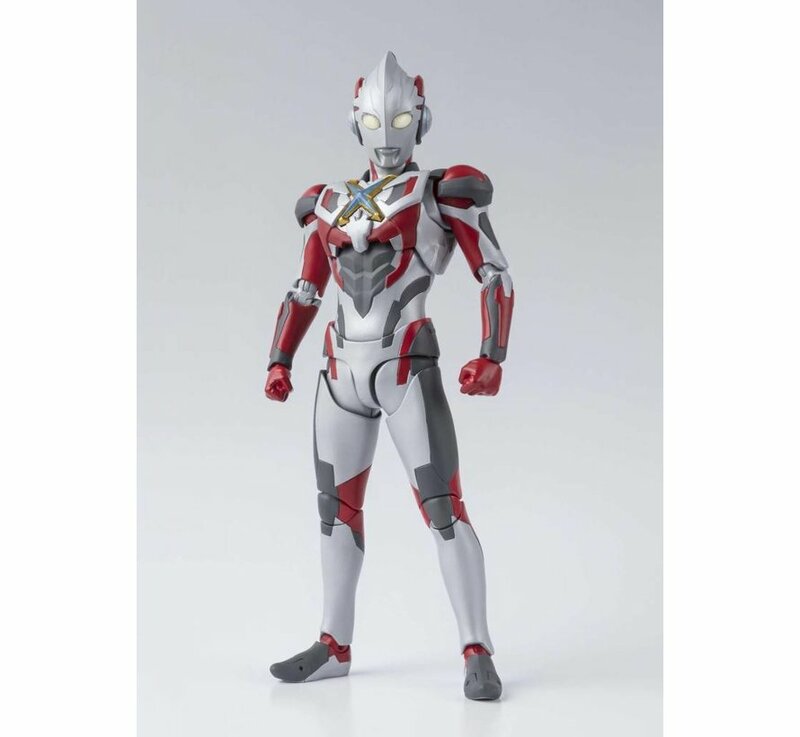 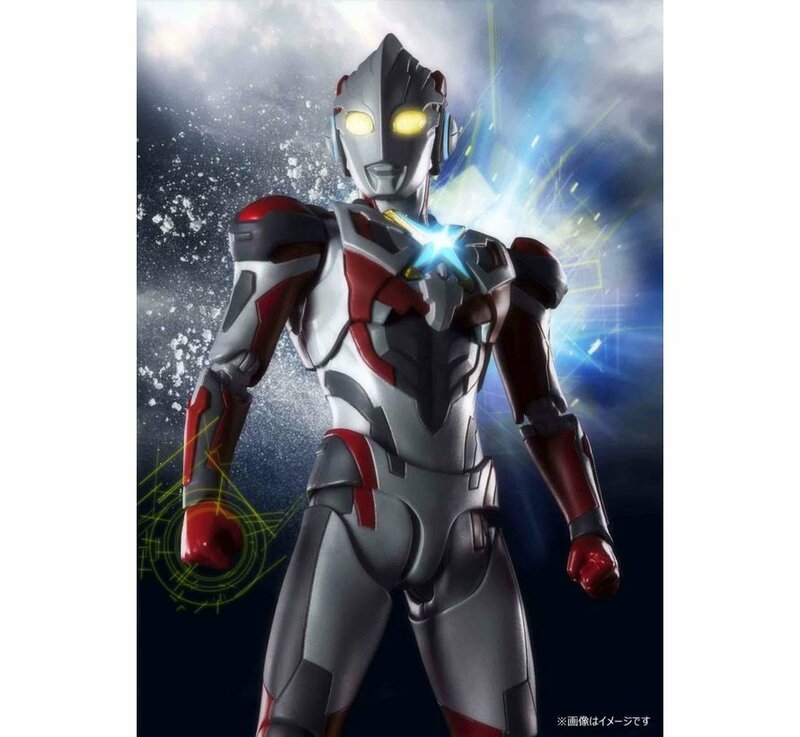 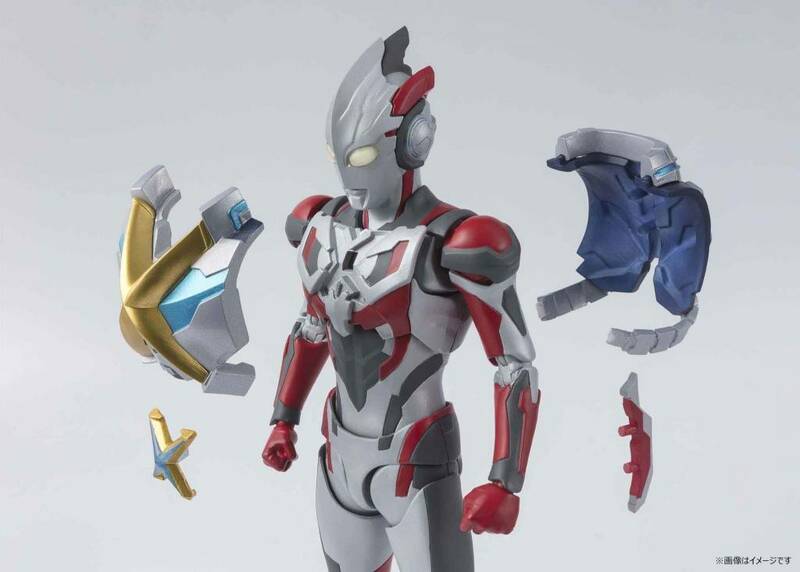 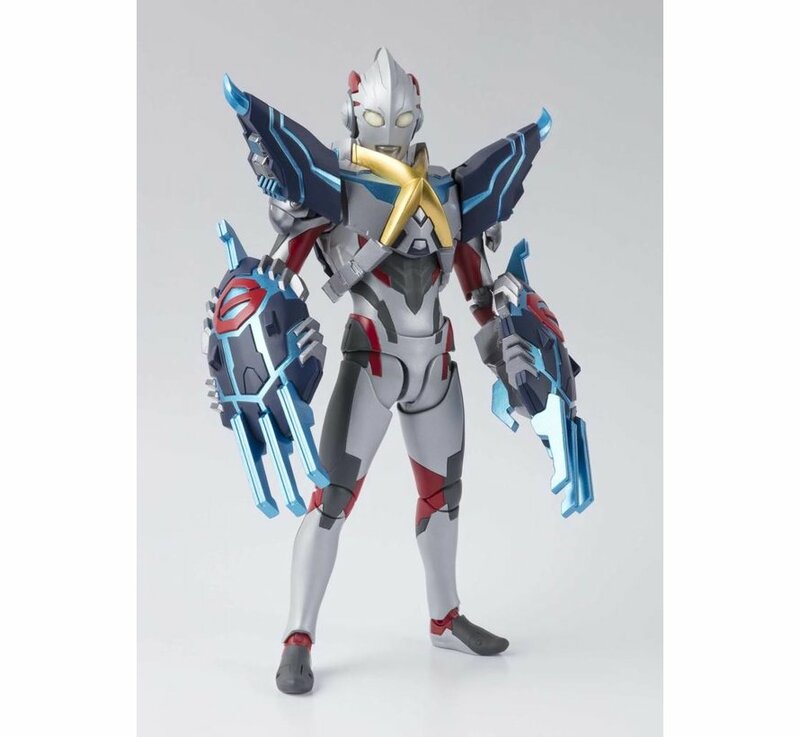 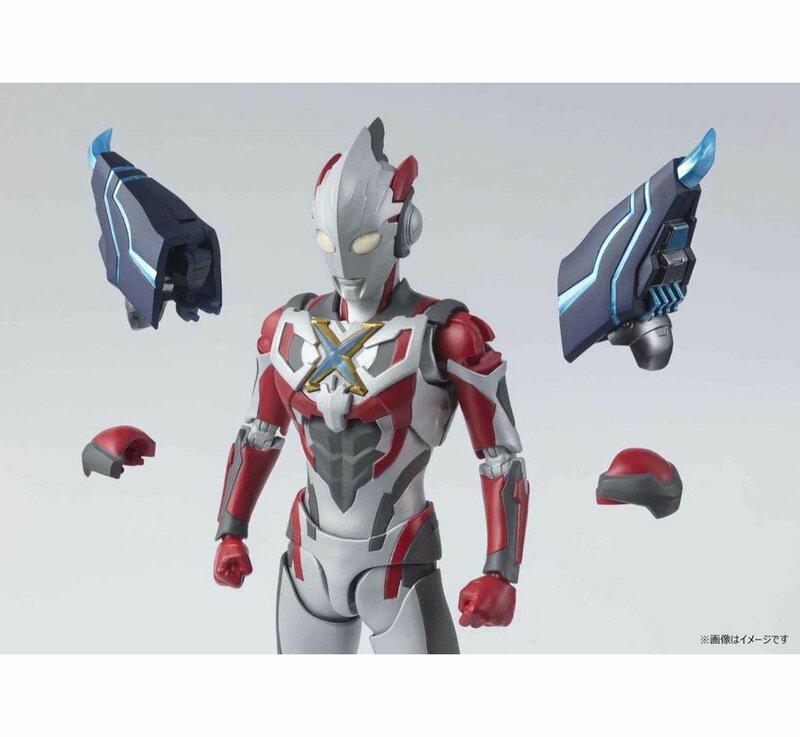 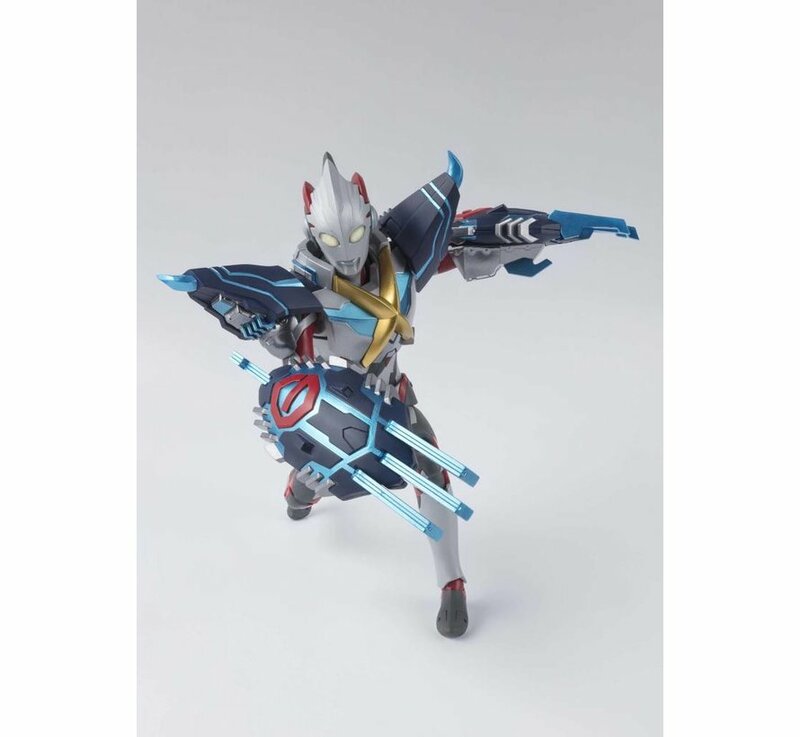 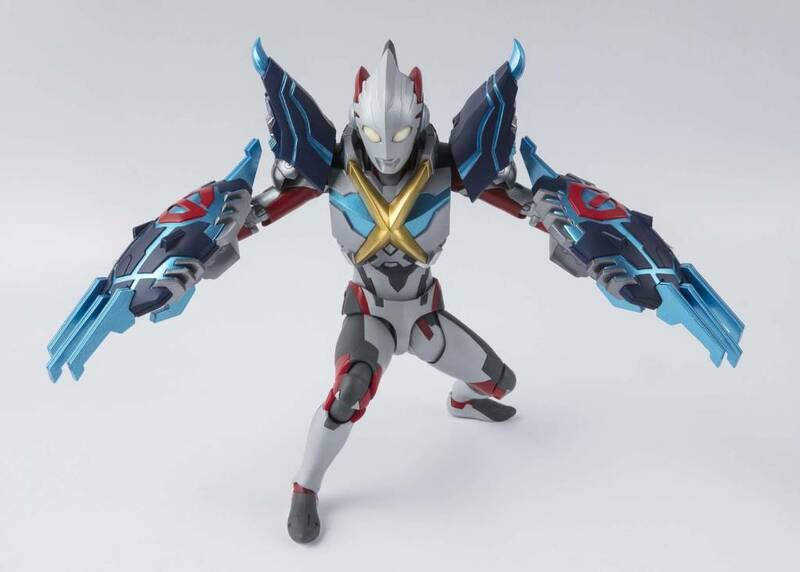 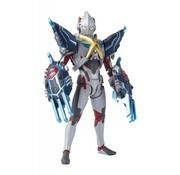 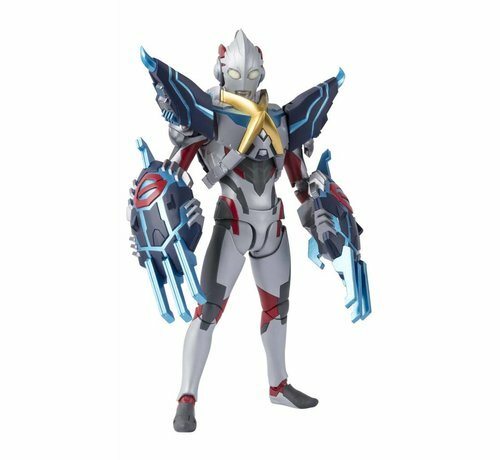 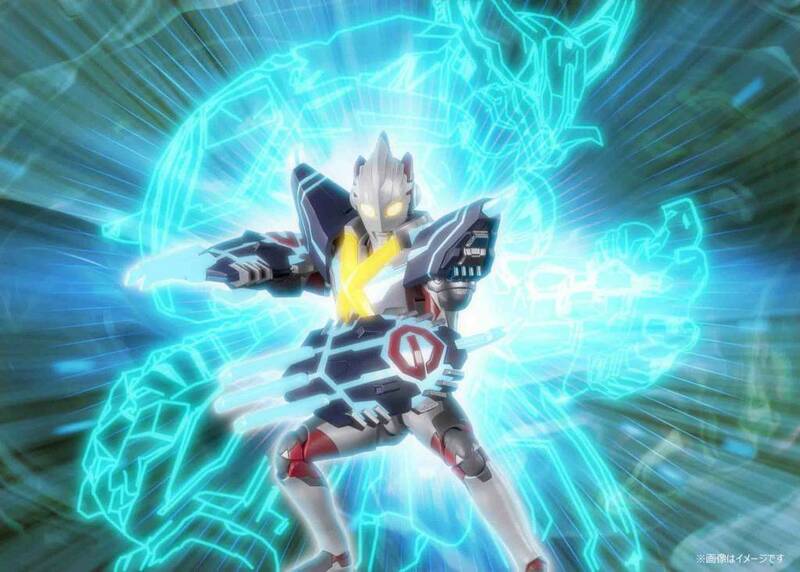 Long awaited by fans, a fully convertible ULTRAMAN X joins the S.H.Figuarts line! 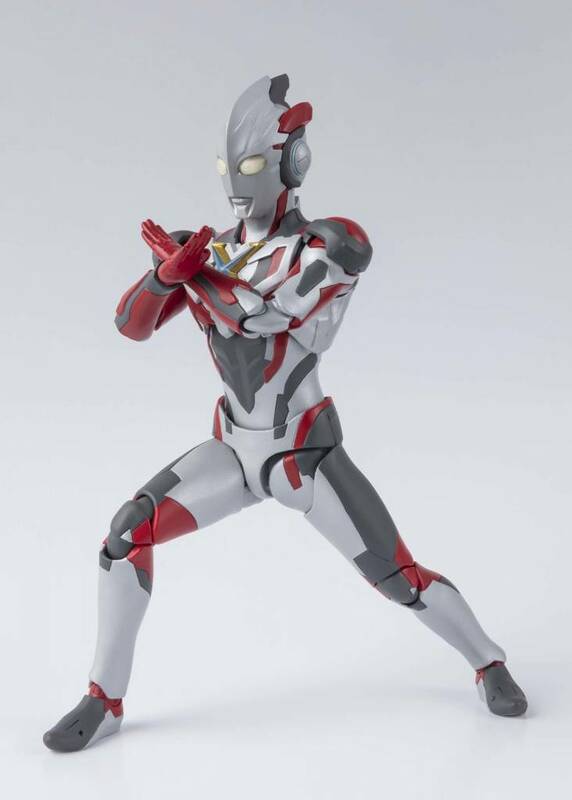 Featuring proportions that look great whether armor is on or off, no effort was spared in the sculpting or painting to make this ultra-realistic Ultraman X with Gomora Armor! 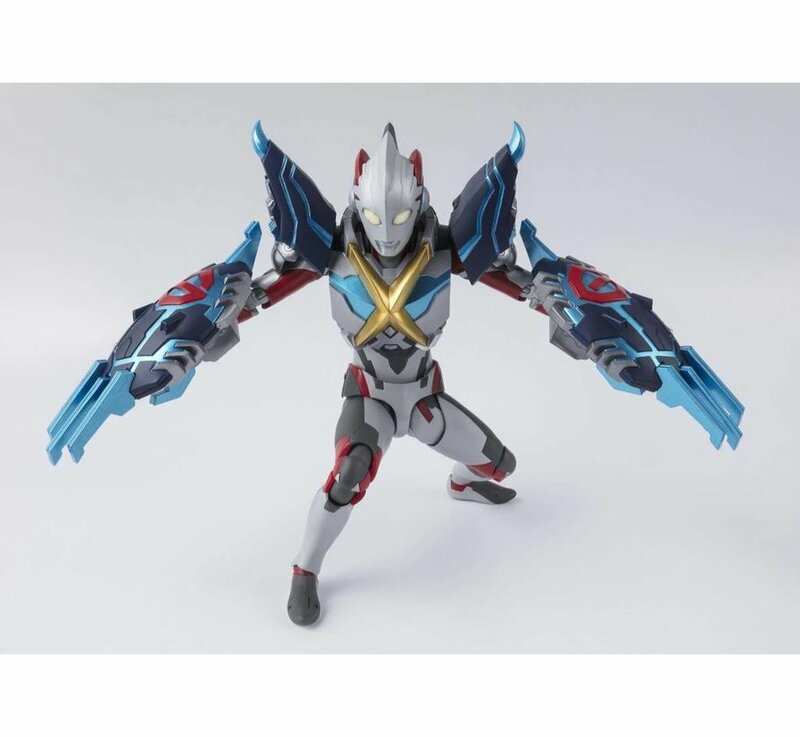 The chest, shoulder, and arm parts can be attached or detached as you like, letting you re-create your favorite action scenes. 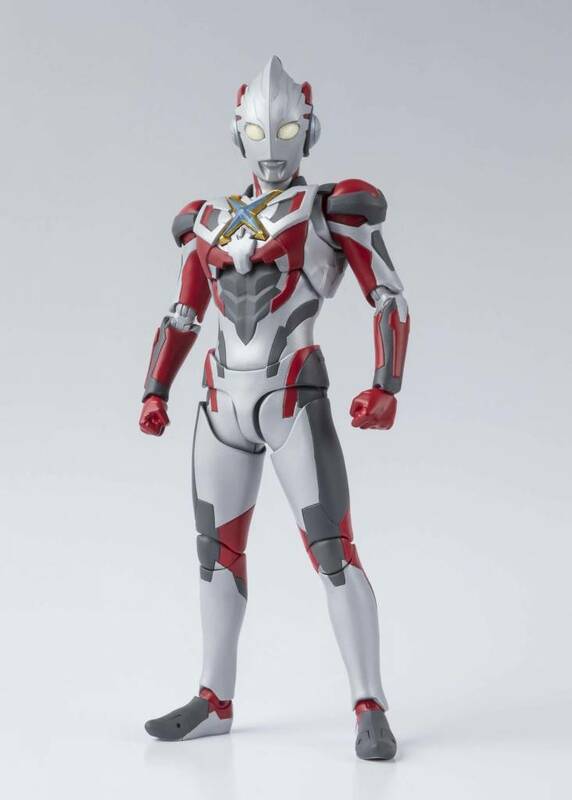 Tsuburaya's in-house design department LSS assisted in the design process, ensuring accurate sculpting and proportions. 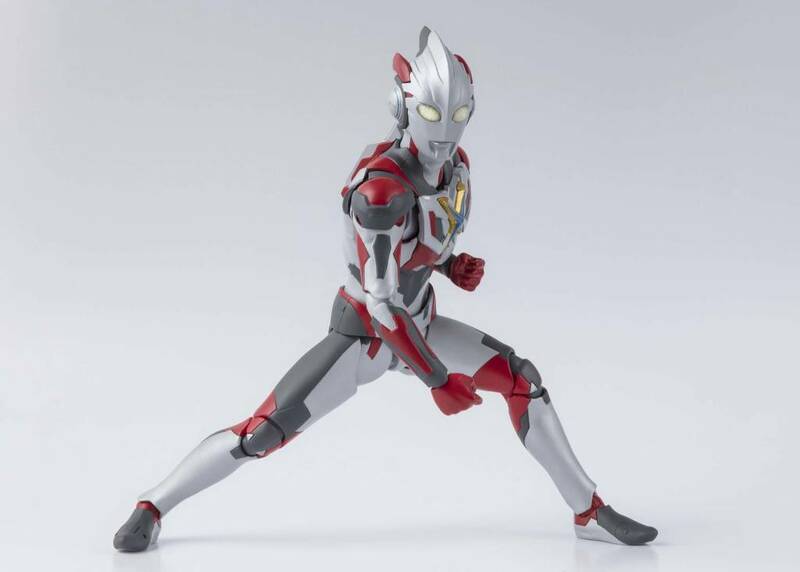 S.H.Figuarts technology lets this action figure take even the most dynamic of poses. 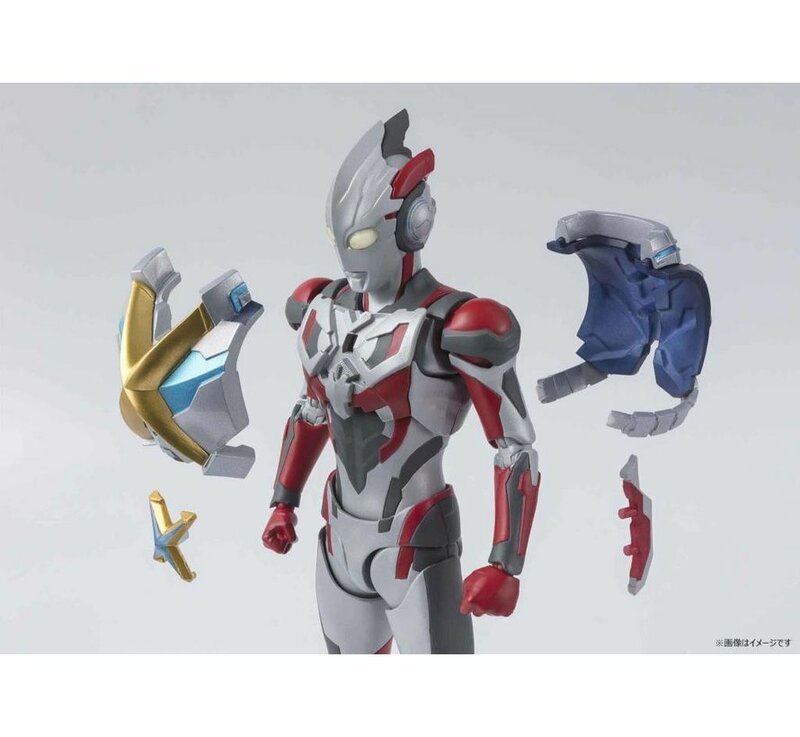 The set includes two optional sets of hands, shoulder armor, chest armor, arm armor, and an exchangeable Color Timer.